Everyone knows that wishbones are lucky and you get your wish. 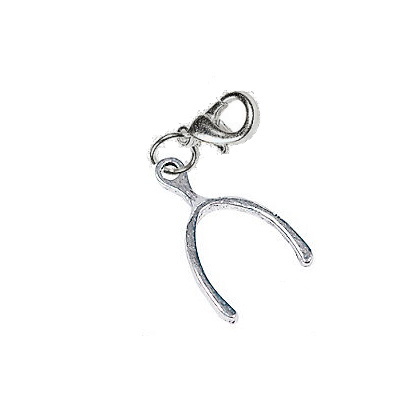 This silver tone, metal wishbone charm is 0.81" tall. Bring your bowling buddy a wish for a perfect game.